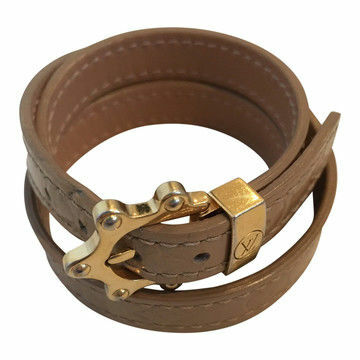 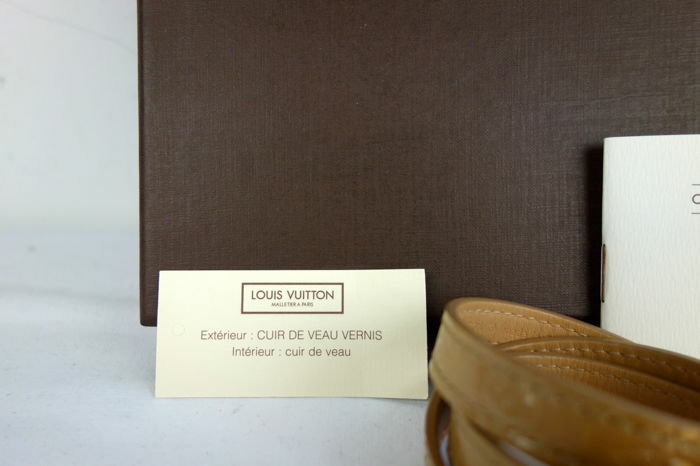 The bracelet wraps around the arm, it is made of soft and supple leather and it has a gold-coloured hardware clasp. 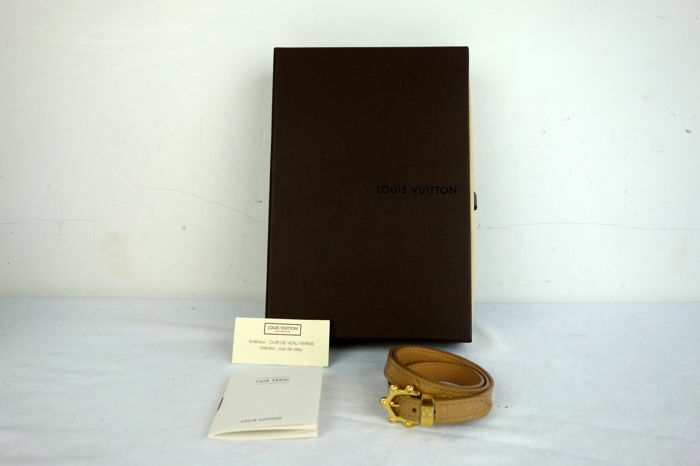 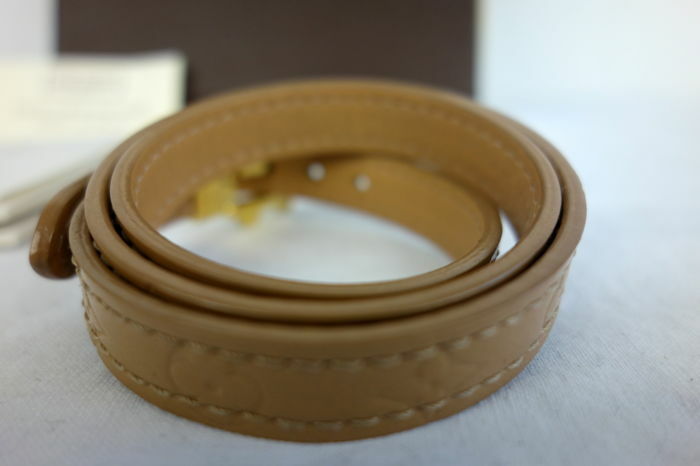 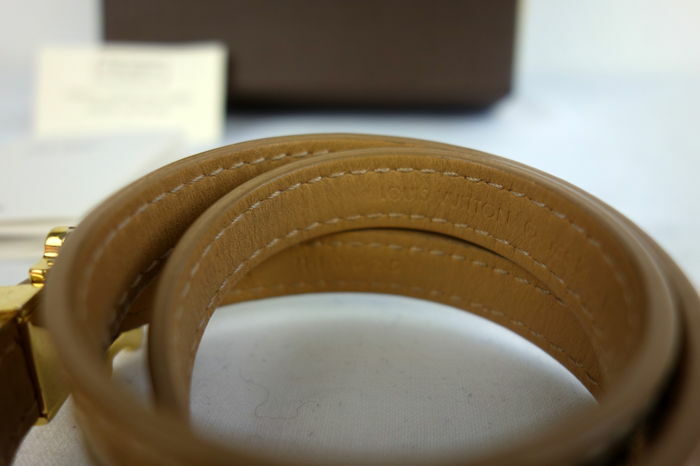 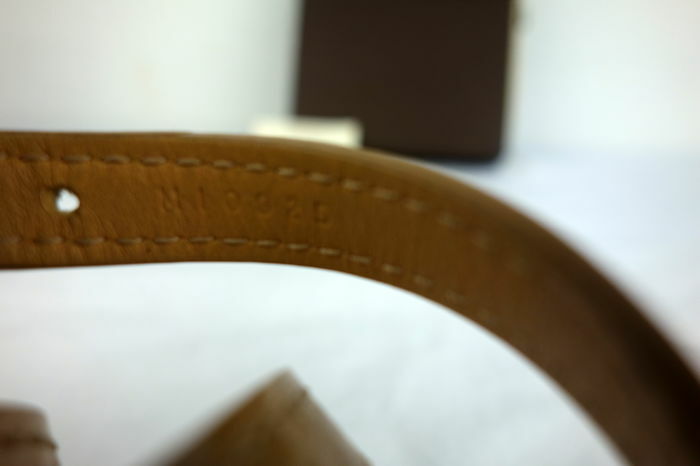 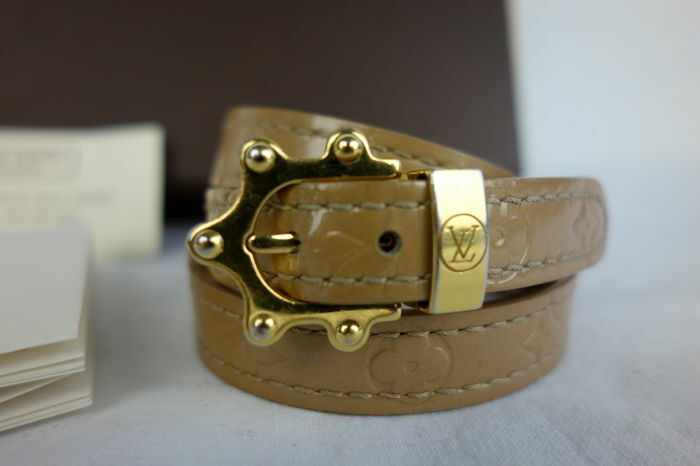 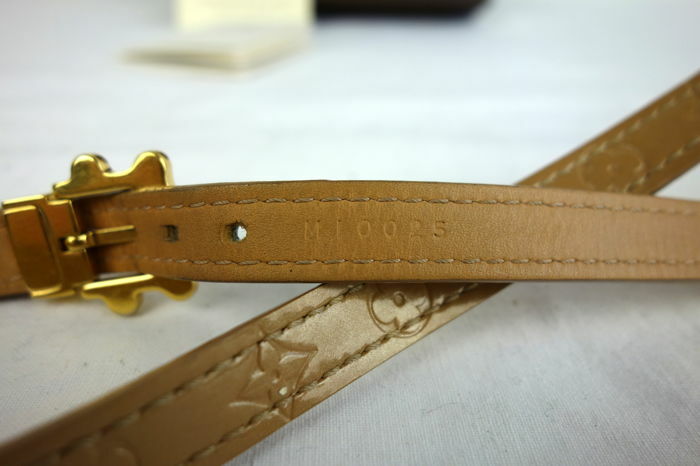 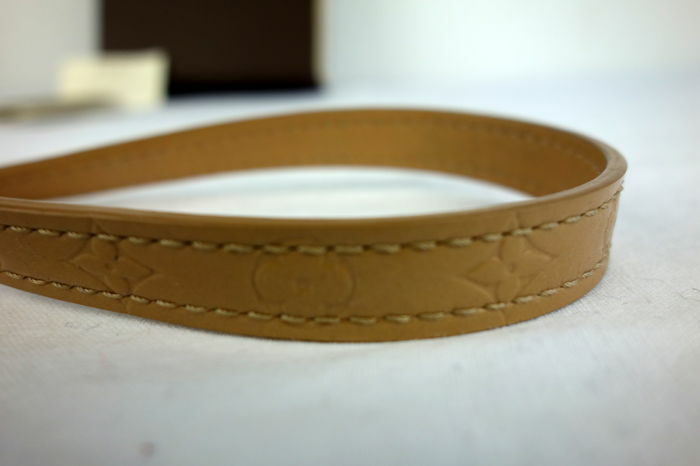 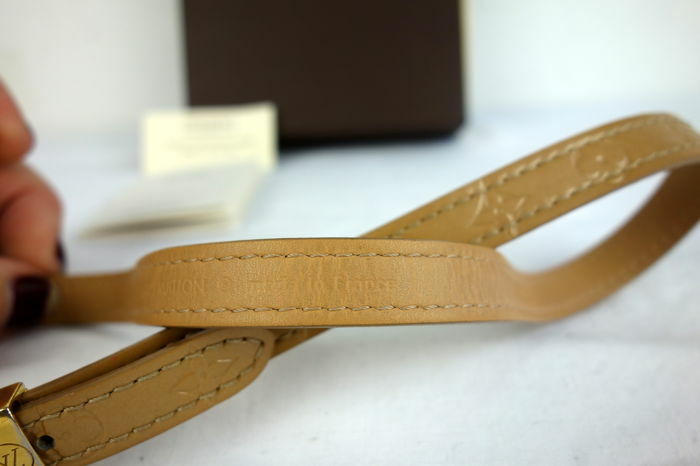 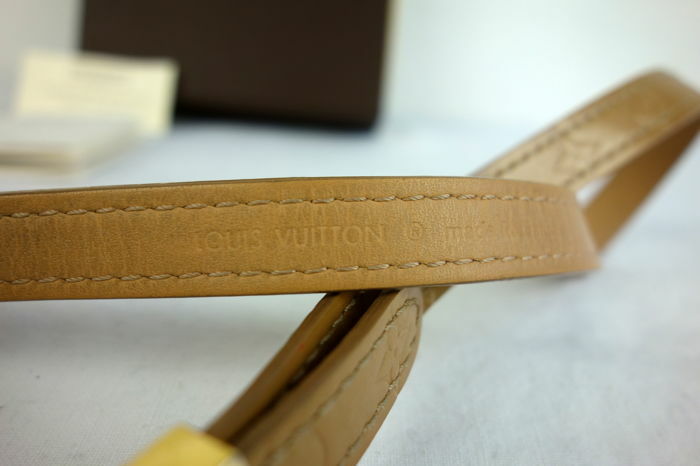 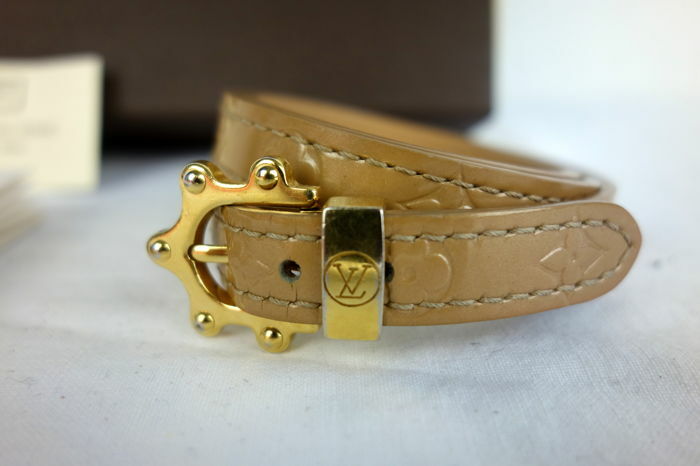 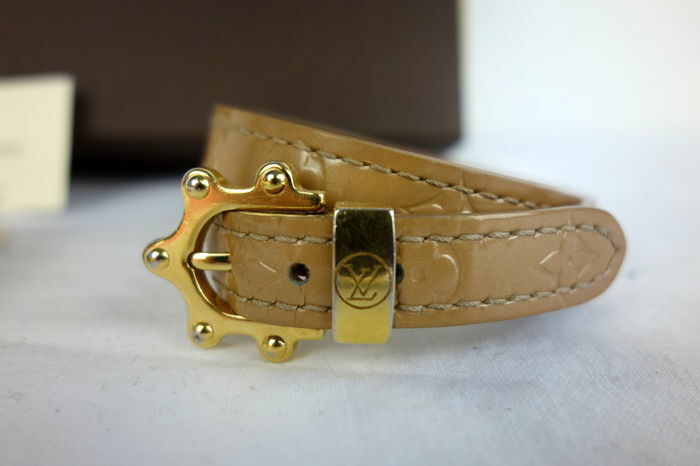 The bracelet is finished with fine stitching, monogram decoration and a serial number. 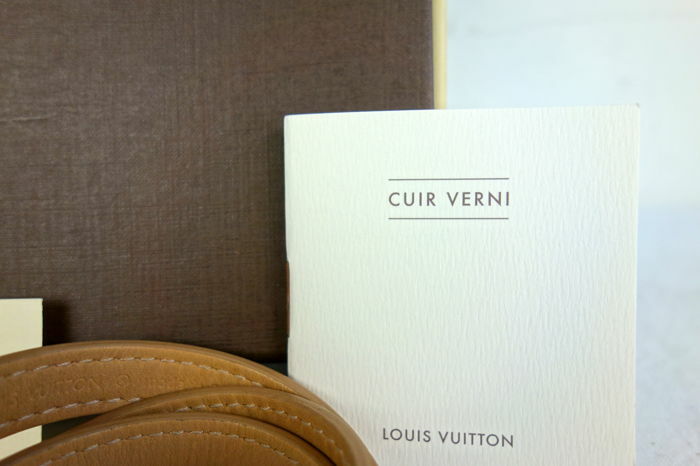 Comes including the matching box.